Khloe Kardashian with Tristen Thompson at True's birthday bash. Keeping Up with the Kardashians star, Khloe Kardashian invited her philandering baby daddy Tristan Thompson at True's birthday bash on Sunday. Pictures and videos posted on social media show that Khloe and her daughter were in similar outfits. Designer, August Getty made the blue dresses for the mother-daughter duo for the special day. Khloe Kardashian and Tristan Thompson on True's birthday party. Butterfly decorations, cotton candy vendors and whimsical balloons completed the look of the party. The celebration was attended by Kylie Jenner, Kim Kardashian West, Kourtney Kardashian, and Khadijah Haqq. Kendall Jenner could not attend the party because she went to attend the Coachella Music and Arts Festival in Indio. Since the news of Tristen's cheating scandal with Jordyn Woods, they were spotted together for the first time for their daughter's party. However, Khloe already flaunted some of her little girl's gifts on Friday, including a diamond bracelet and designer silk PJs. True's gift from her 1st birthday. 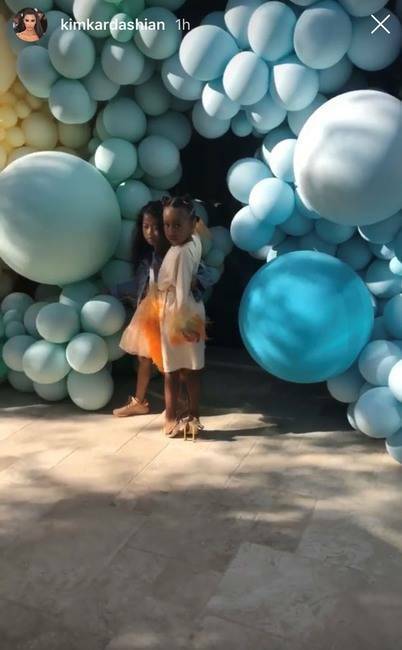 North and Chicago West also attended the event wearing matching orange feather dresses. The 5½-year-old daughter of Kanye West even wore her mom’s high heels. 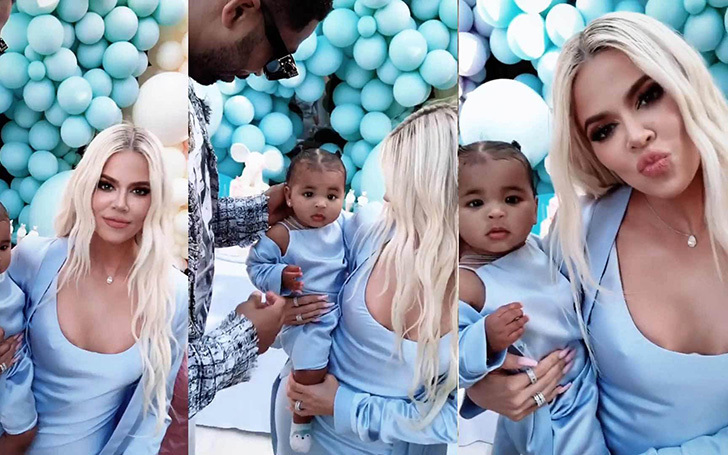 North and Chicago West at True's Birthday Party. 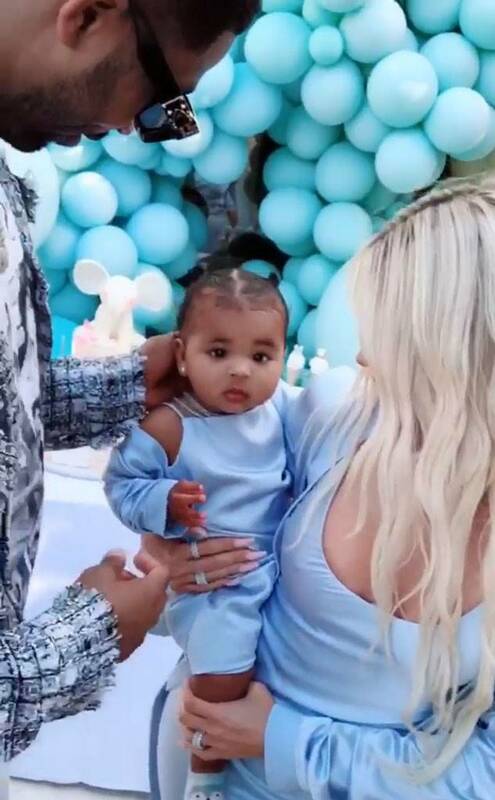 Meanwhile, Jenner's daughter, Stormi also attended the party.